The Sunset Dream Boutonniere blazes with colour and vibrant energy. 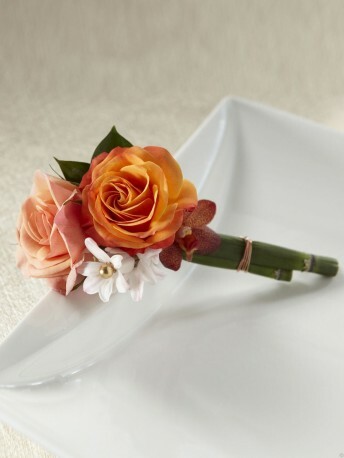 Peach spray rose, orange spray rose, pink hyacinth and red mokara orchids are perfectly arranged secured to an equisetum stem for a stunning overall look. Approx. 5"H x 2"W.